Unfortunately – my camera has been acting up so, sadly, there aren’t a whole lot of pictures – until I get my Photopass CD! It was once again time to hop on a plane and get to the Happiest Place on Earth for some more Magical Miles! I was less prepared this time, yes, that IS possible!! – so spent the night before my flight packing and making sure I had enough running clothes! Doing the Happy Haunted Trail 5K on Saturday morning and then the Tower of Terror 10-Miler on Saturday night! PLUS, I had bought a ticket to attend Mickey’s Not So Scary Halloween Party (spoiler – you want to go to this!). So far it was looking like there was not going to be a lot of sleeping on this trip! Everything went smoothly on the travel front – I got to Orlando around 10:30 in the AM and knew what my first post resort check-in stop would be! I’ve started packing my bathing suit and towel in my carry on bag so that I can head there as soon as possible…Head where? Typhoon Lagoon! 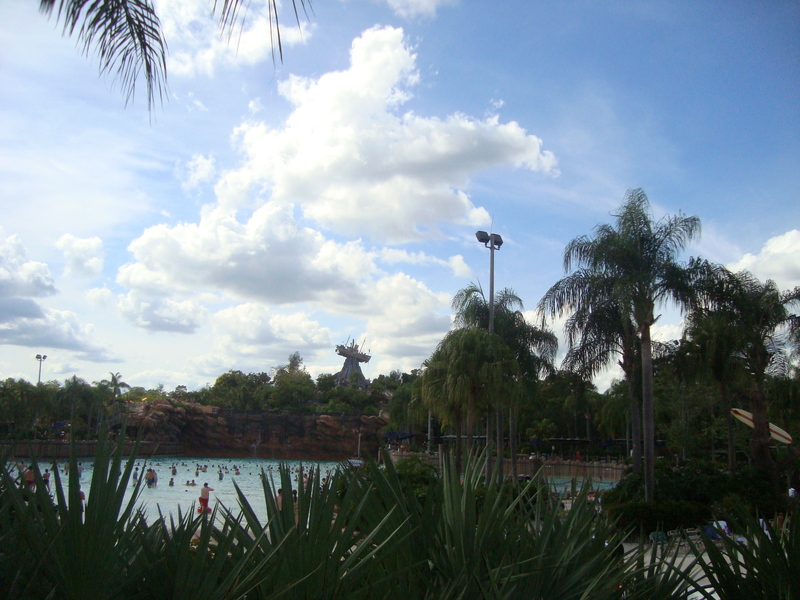 I have “discovered” the Disney Water Parks this year, thanks to my Premier Pass (lots more on that later!). And, truth be told, I LOVE water parks! And, as with everything they do, Disney rocks the water park! There is something for everyone – all ages can have a great time. 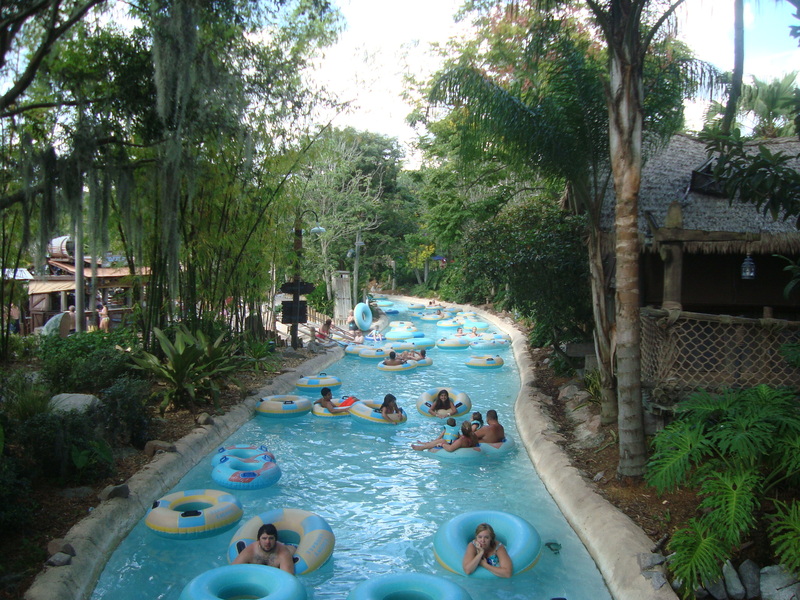 I usually warm up by hitting the Disney version of a Lazy River – in this case it’s called Castaway Creek – a 2,000 foot tour around the entire park! I followed this up by a few trips down various water slides. The only downside here to being a “single rider” is that there are some attractions that are limited to 2 or more riders. So next time I’m going to find a partner! It was a gorgeous warm day and after a few hours I decided it was time to head back to the Port Orleans – French Quarter and have a look around before getting dressed for the Halloween Party! This was my first time staying at POFQ and it was nice. With one bus stop, transportation was pretty easy and quick. Especially to the Magic Kingdom and Hollywood Studios. For some trips we would make additional stops at the Port Orleans Riverside resort but we were generally the first stop on the way home which is always nice late at night!! The Halloween Party is really an excuse for children of all ages to get dressed up in costumes and go trick-or-treating! And man, do some people go all out!! I saw entire families dressed up – babies to grandparents!! 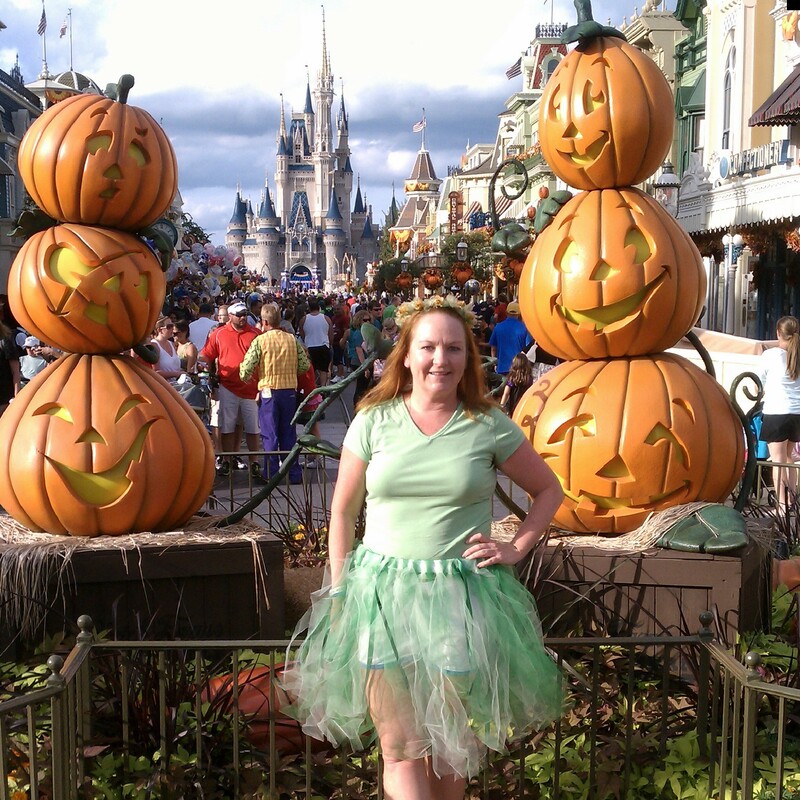 I ended up dressing as “Generic Woodland Fairy” when I couldn’t get my Tinkerbell wings to stay upright! And, the trick or treating is OUTRAGEOUS!! I ended up leaving at least 2 pounds of candy in my hotel room when I left and I’m sure I ate at least that much in the 4 days it sat there staring at me!! Rides were open, characters were out in full costume – I mean, the characters had on their costumes! – and there’s even a special parade – the Boo! To You parade – with special Halloween fireworks. The parade features the Headless Horseman and lots of characters you don’t see in your every day Disney Parade! The gravediggers from the Haunted Mansion as well as the dinner guests and dancers from the Mansion! It had been a seriously long day – with a 6 am flight you know I was up by 2:30 – so by the time the party was winding down this was one tired fairy! And I had a big day of parks ahead of me, as well as the race expo, on Friday. We did MNSSHP last year, man it was a blast! I need to try the water parks too……adding to my list!